Goods waiting to be transported at the Mumbai Port. Mumbai: The cost of moving goods meant for exports by rail and road from various inland locations to ports will reduce by more than 50% after the government exempted this activity from service tax. “This decision will favour the shippers and bring down the transaction costs. Shippers will save more than 50% on transportation costs," said S.R.L Narasimhan, secretary, Western India Shippers’ Association. ICDs are facilities where goods meant for export arrive and are cleared by the customs department, then packed into containers and hauled on trains to ports. While raising a bill on inland haulage charges, shipping lines so far recovered service tax from the shippers for service rendered by them for movement of cargo meant for export from inland container depots to the port of export. More than 50% of the inland haulage charge is accounted for by railway freight from ICDs to the ports. As per law, only 35% of the railway freight attracted service tax. So, while shipping lines paid service tax to the government on only 35% of the railway freight, they recovered the service tax from the shippers on the entire railway freight, Narasimhan said. “In essence, they recovered from the shippers more than twice the service tax paid by them to the government," Narasimhan said. The basic principle behind the government decision is to bring down the transaction costs in respect of exports. As such, shippers say service tax relief should also be given to services provided for transport of goods directly from the exporters’ warehouses by road or rail to the ports. Nearly 30% of the export cargo handled at Jawaharlal Nehru Port, India’s biggest ­container port, originates from the ICDs located in northern India. The balance 70% of the export cargo comes directly from the warehouses of the exporters which is then transported by rail or road to the ports. “Hence, the relief should not be restricted to export of goods through inland ­container depots only," ­Narasimhan said. However, shipping line representatives, who pay various charges on behalf of exporters, are not sure about the impact of service tax refund. 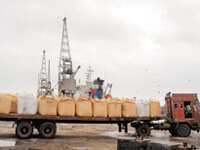 “Shipping lines are providing bundle of services to the exporters, including road, rail, port and other charges. We are charging service tax to exporters as ‘business support services’. But this is not falling under prescribed items of government," said K.P. Desai, executive director of Seaworld Shipping & Logistics Pvt. Ltd.
Desai, who represents shipping lines as agent in India, said the government needs to include business support services under the items that are eligible for refund of service tax.